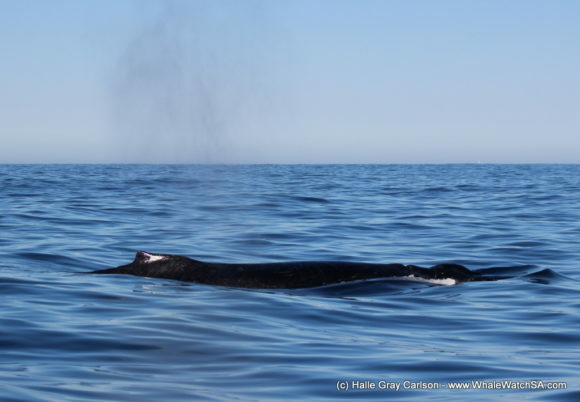 Two different species of whales, and lots of them! 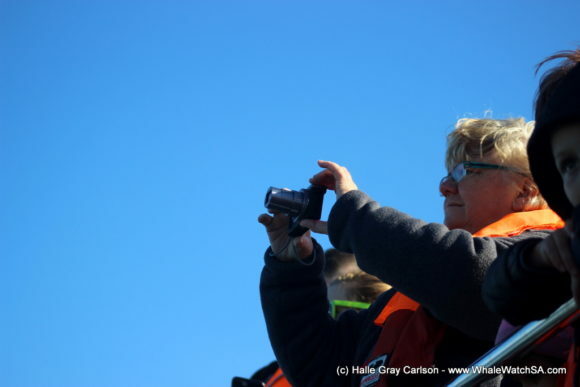 As we made our way down to the harbor this morning, we were greeted by sunny skies and a nice breeze. The lovely weather was a foreshadowing of the great trip that we were about to embark upon. First, we headed West towards Danger Point lighthouse and were lucky enough to spot an endangered African Penguin in the water. He let us admire him for a few short seconds before diving down back into the water. 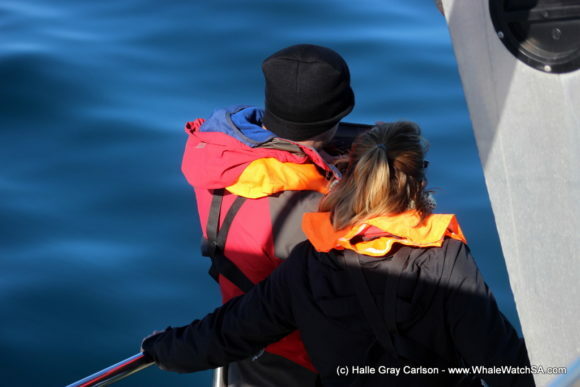 However, luck was on our side as the crew soon spotted the spout of whale up ahead. 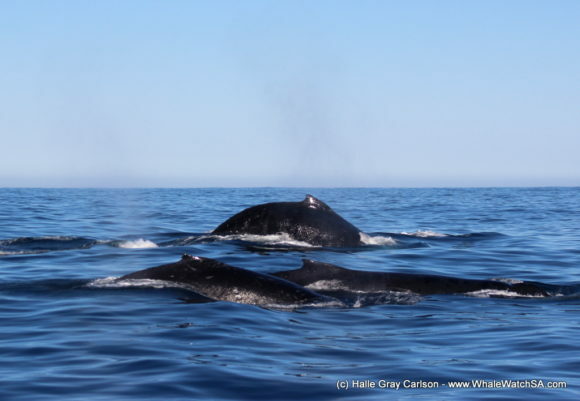 We continued along into deeper water where we were greeted by a group of about 3-4 Humpback Whales! 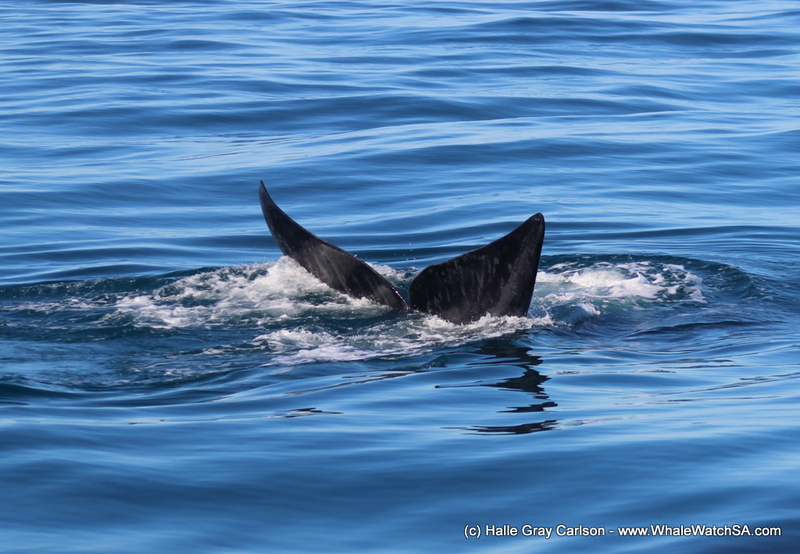 They hung out around the boat for about 20 minutes, alternately surfacing and diving back down. After marveling at these gentle giants, we headed to Dyer Island and Geyser Rock to check out the African Penguin and Cape Fur Seal colony. 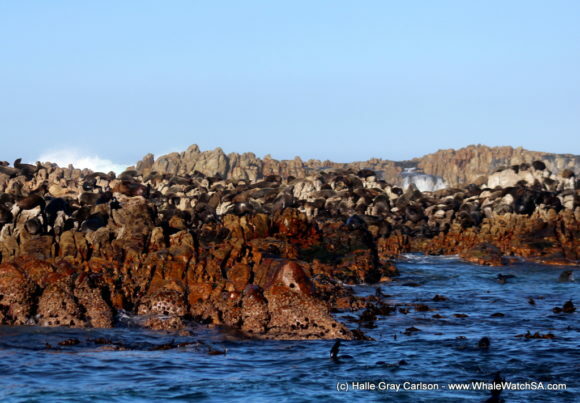 At Geyser Rock, we were greeted by 60,000 Cape Fur Seals! Some of them were frolicking around in the water, while the majority of them were basking in the warm sun on the island. 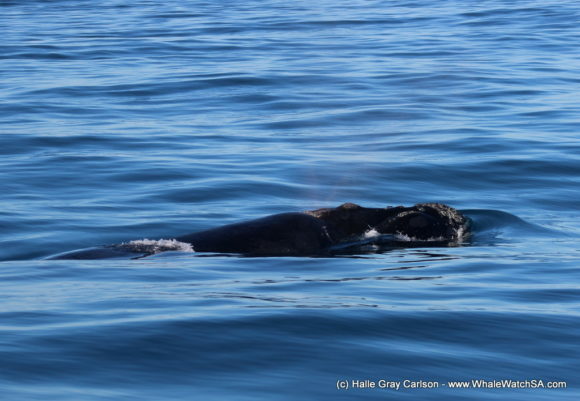 Just as we were about to head off, a whale spout was spotted behind Geyser Rock. We made our way over and were greeted by not one, but two Southern Right Whales! After stopping to watch them, one of them approached and surfaced around 20 meters away from us, collectively dropping all the jaws on the boat. 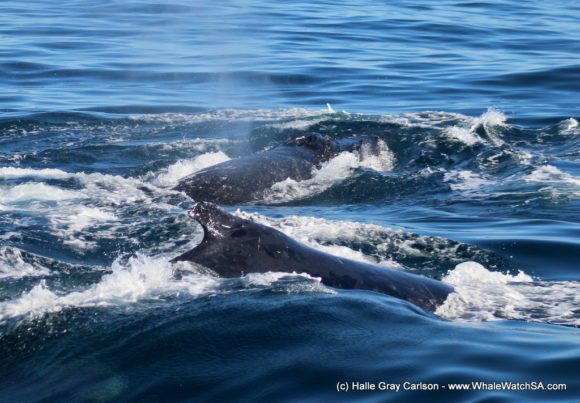 The sheer size of these animals was stunning, and it was incredible to see them so close! 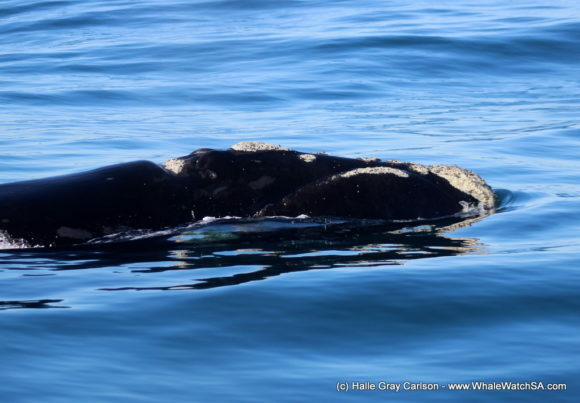 After admiring the Right Whales for a bit, we made a quick stop at our sister company’s shark cage diving boat, Slashfin, before cruising along the coastline and heading back to the harbour. All in all, it was a great day out at sea and we hope everyone enjoyed their time with us!